This is the fifth generation of Ayala family run winery, located in the town of Briñas. 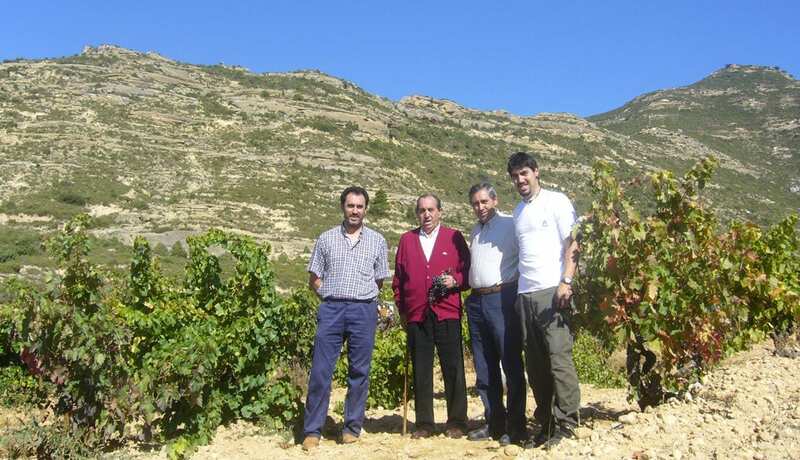 Nowadays following the tradition of the family roots, Ramon and Gonzalo (nephew), are the ones who look after the vines and the winemaking process. The 30 hectares of land owned are spread among Rioja Alta and Rioja Alavesa, in the foothills of Sierra Cantabrica, around 500 meters altitude. The Sierra stops the winds that come from the Atlantic and moderate the climate providing excellent conditions for the vineyards. The range of Santurnia wine brand comes originally from the name of the land where the best vineyards are located. Santurnia is an iconic place where original stone press were built in the rocks, by their ancestors. The new winery is located underground to obtain the best conditions for winemaking and ageing process. This versatile winery produces old style but also modern ones.